Today I am sharing a fantastic recipe from Fitness Republic. Bookmark them as the site is a fantastic resource for health, nutrition, and fitness (kinda like me!). 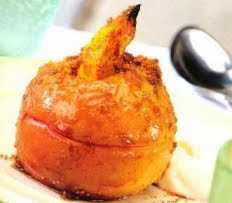 Click here for Baked Apples with Lemon by Michael Charles. Not convinced? They are only 174.02 calories (kcal).